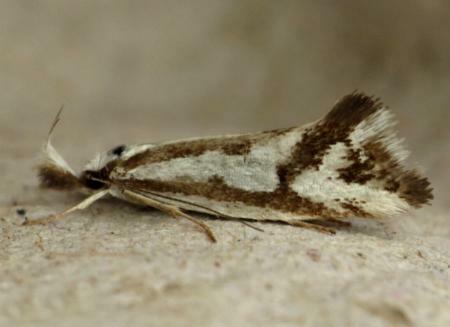 The adult moth of this species has dark brown forewings, each with a white costa, a white dogleg streak along the middle of the wing, and a white 'V' on the margin. 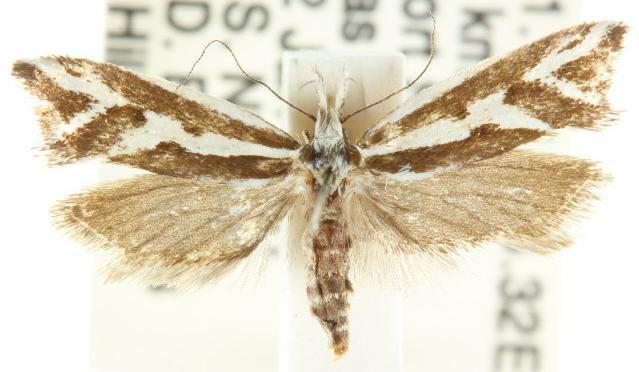 The hindwings are pale brown, darkening toward the wingtips. The head is white, and the thorax white with dark brown sides. The wingspan is about 2 cms. CSIRO Publishing, Melbourne 1994, pp. 53, 59-61. Volume 9, Part 3 (1884), p. 744-745, No. 280.